Whether a recall is 1 car or 1 million, responsible automakers usually push things out quite quickly to make sure owners are notified. It is also a PR coup when a recall is handled quickly and efficiently as it shows the automaker thinks highly of its customers. Whether a safety recall is over a million cars or only 10, automakers take their responsibility very seriously. It makes sense when you think about it. There have been times in the recent past when an automaker has let things slide and the results have been catastrophic. For instance, Fiat Chrysler Autos (FCA) ended up paying a huge fine a couple of years ago when the National Highway Traffic Safety Administration (NHTSA) fined the automaker the maximum possible for failure to respond in a timely manner both to a recall and to the need to keep good records. That recall was for more than a million Jeep vehicles that had faulty gas tanks that could loosen and leak, becoming fire hazards. By the time all the dust had settled, FCA had paid out a boatload and ended up straightening out what had become a mess. Another blown opportunity was GM’s ignition recall. The automaker ended up setting up a $565 million fund to pay owners of vehicles injured by the recall. If GM had followed procedure, it would not have ended with either the court or PR mess in which it found itself. But, the automaker did and ended up under the eye of a special master for three years as it paid out half-a-billion dollars. All it would have taken on either part is following proper procedure and things would have been fine, but, the rules weren’t followed and the result was the fines and penalties each automaker faced. 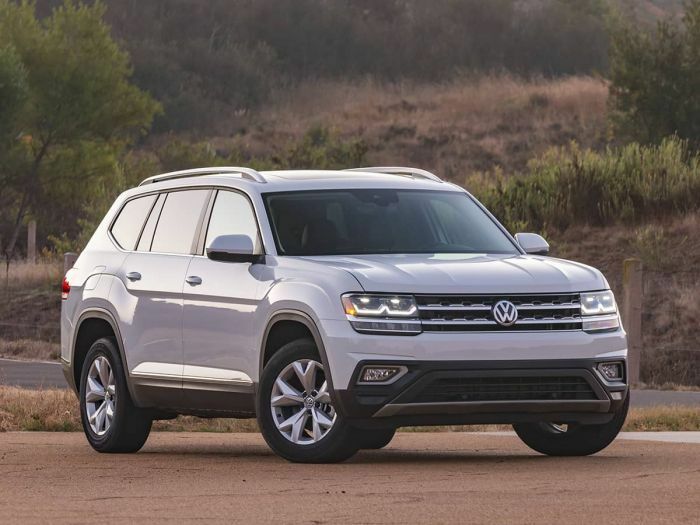 That’s why Volkswagen has recalled 278 2018 Atlas crossovers for fuel tank problems.Here is more information about the Atlas recall. The Atlas is a VW’s successful new three-row crossover that, with the 2018 Tiguan (long Tiguan), are about half of Volkswagen’s sales total. It is a key sales tool for the brand. According to paperwork filed with the NHTSA, the fuel tanks on the vehicles can leak, posing a fire threat. The problem was caused by a manufacturing error. The recall is expected to begin around the middle of June as the automaker notifies owners of the affected vehicles so they can contact their dealers to schedule the free service. For further information, owners of the affected Atlases can contact Volkswagen Customer Service at 800-893-5298. Ask for information on recall 20AW. Or, owners can contact the NHTSA’s Vehicle Safety Hotline at 888-327-4236. Owners can also check the NHTSA’s website for further information on recall 18V284000. Here is the website of the NHTSA. In an additional important note on this recall, the agency reminded people that the new recall is an expansion of one from 2017, 17V766000.